Balarama's Appearance Day - This Saturday! ~ The Toronto Hare Krishna Temple! Balarama's Appearance Day - This Saturday! Please come celebrate the appearance day of Lord Balarama (Balarama Jayanti) on Saturday, August 29, 2015! Lord Balarama is the older brother of Lord Krishna and symbolizes spiritual strength. The festival will kick off with a special Monthly Sankirtan Festival (MSF) by taking our spiritual books and sharing with others on the streets of Toronto! Our enthusiastic team will leave at 1:00pm from the temple. 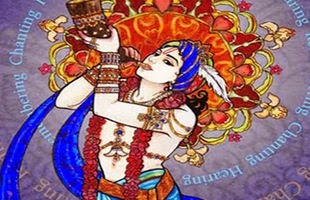 Please join us for what will be a bright sankirtan outing! The main festival at the temple will begin at 6:00pm with kirtan and arati and will be followed by an enlivening discourse given by our special guest, HG Narayani devi dasi. Then, we will continue with our annual tradition by having our Sixth Annual Balarama Bake Off with a little twist this year. Stay tuned for this very sweet tradition! Everyone during the festival will also be able to take part in the Jhulan Yatra Festival. A specially decorated swing will be arranged by the devotees for Sri Sri Radha and Krishna to sit and and accept the flower offerings from the devotees. Please join the festival and get a rare chance to personally swing their Lordships Sri Sri Radha Krishna. And remember, Balarama's Appearance day only begins the countdown to the BIGGEST Birthday Bash of the year as we celebrate Sri Krishna Janmastami on Saturday, September 5, 2015. Please mark your calendars and join us in creating a spiritually charged Krishna Conscious long-weekend. More information about what to expect will be coming your way soon!